Plot Summary: This show is similar in feel to that of the US’s “ER” and focuses on a hospital and its workers. 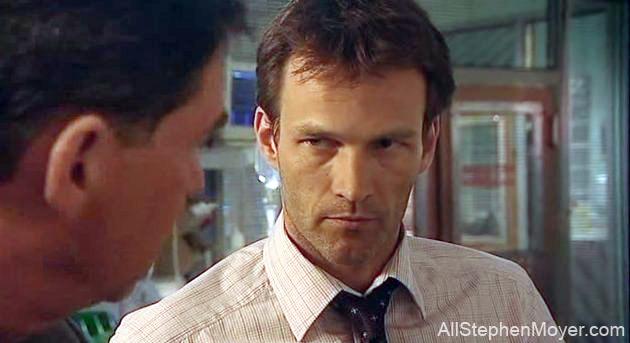 Stephen Moyer guest stars in the episode called “Waste of Space” as Dr. Mark Ellis, a general practitioner who is devoted to his patients. One of his patients is dying and shortly after Dr. Ellis leaves her home, she is rushed to the hospital. Somehow, she has taken a lethal dose of heroin on top of her other woes. The family members are suspected. A police officer, Martin, is brought in after being attacked. Maggie can’t find anything medically wrong with him but Tess realizes he is suffering anxiety attacks over his job. It’s a good thing that he is there because in the end he arrests the one who gave the sick woman the overdose. Thanks to Parise for the videos of Casualty. Thank you, Parise for these gems! Thanks, Lynn, for adding to Stephen’s filmography, and to Parise, for the vid that enabled Lynn to make so many wonderful caps. The banner is beautiful. 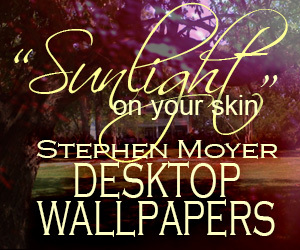 A terrific addition to Stephen’s list of projects. More SM gold! Thanks Lynn and Parise. I checked out all the great caps but will we be able to see the video at some point? Thanks. Wish I could watch this show and some of the others that I can’t seem to find.